News Update!! : Needles, CA: Fire at the Americas Best Value Inn. 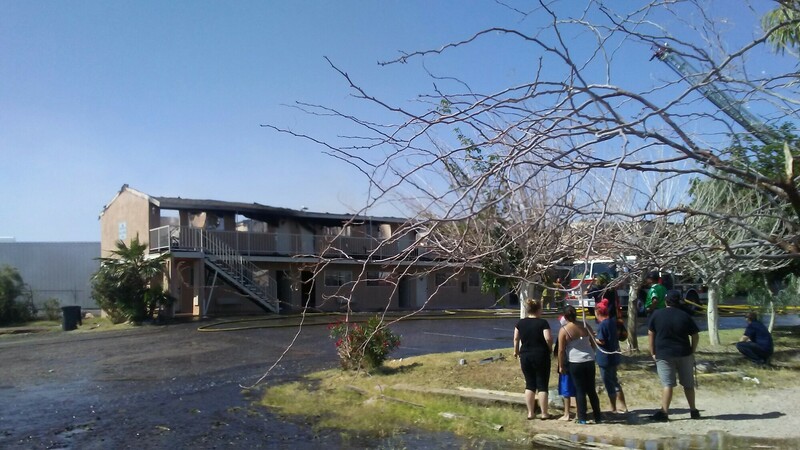 A fire has occurred at the Americas Best Value Inn, located on East Broadway near Interstate 40, in Needles, California on Saturday, April 15th, 2017. A news tip sent into ZachNews from Frank Costigan alerted ZachNews of the fire and rushed over to the motel fire. The motel fire is burning near the old Dollar Tree store and just across the street from the San Bernardino County Fire Department Station 32. The fire was seen coming through the roof of the motel as firefighters arrived and smoke could be seen for miles. Everybody staying at the motel, including families with children, were all evacuated safely as firefighters began battling the fire. As the fire grew, a “2 Alarm Fire” call was made calling me more fire department resources to the motel fire. 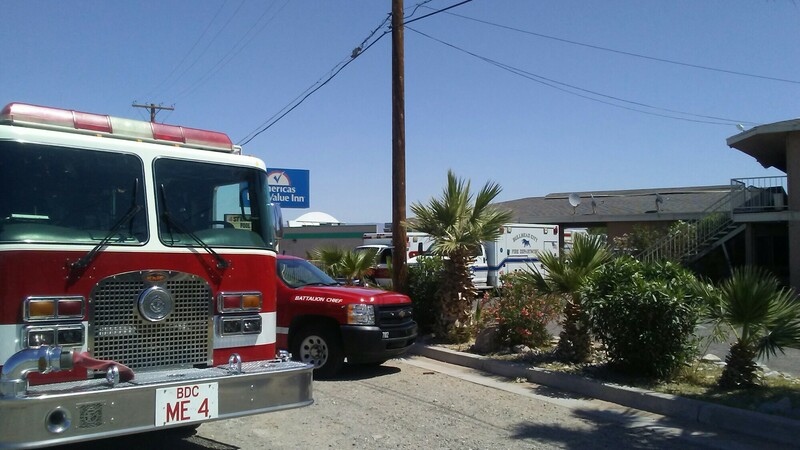 Multiple fire department agencies arrived on scene of the motel fire, including Mohave Valley Fire Department, Fort Mohave Mesa Fire Department, Bullhead City Fire Department, and Lake Havasu City Fire Department. Also on scene, at least 2 ladder fire departments trucks from Bullhead City Fire Department and Lake Havasu City Fire Department were helping in the battle of the motel fire, which local residents tell ZachNews that the last time a ladder fire departments trucks was called and used to battle a large structure fire was when the old Masonic Temple, also known as the old Needles Theatre, caught on fire in the early 1990’s. Baker Emergency Medical Service, located just a block away from the motel fire, responded to the motel fire in case of any medical assistant as well as San Bernardino County Sheriff’s Department, California Highway Patrol, and City of Needles street crews responded to block off traffic around the motel fire. Both directions of East Broadway, also known as U.S. 95 and Highway 95, was closed because of the fire sending motorists, including semi trucks, recreational vehicles, and families trying to get to their Easter weekend destinations, on a detour along Interstate 40 to Five Mile Road. As firefighters continued to battle the motel fire, a person was seen inside an ambulance being checked out by paramedics. Witnesses tell ZachNews are saying that the person inside the ambulance was the property manager. According to Needles City Manager Rick Daniels, the person inside the ambulance was being evaluated for smoke inhalation. An hour later, the fire at the Americas Best Value Inn was put out. A total of 21 motel units suffered damage in the fire, including at least upstairs 12 motel units appear to have suffered fire, smoke and water damage as well as the roof of the motel appear to suffered fire destroyed with parts of the roof collapsed from the motel fire, and downstairs, at least 11 motel units appeared to have suffered damaged by water. Later, fire department trucks from San Bernardino County Fire Department arriving from Twentynine Palms, California; Wonder Valley and; Helendale, California; and Victorville, California arrived to the aftermath of the motel fire as the other fire department crews headed by to their communities. Both directions of East Broadway, also known as U.S. 95 and Highway 95, were reopened after being closed for the motel fire. The case of the motel fire is under investigation and fire department investigators were seen checking the property for clues to where the fire may have originally started. ZachNews is learning from people who first reported the fire as well as people who witnessed the arrival of fire department crews that there was a slow response by the local fire department despite being just across the street from the motel on fire. ZachNews has learned that the motel fire started before 8:20am PT on Saturday, April 15th, 2017 when a postal worker noted the fire and went to the near by fire station to alert firefighters of the fire. A firefighter answered the door and the postal worker told the firefighter that there was a fire across the street at the motel. As 10 minutes pass after telling the firefighter, another postal worker came by the fire station and told the other postal worker, waiting for the fire department to response, that 911 was called. Other witnesses who were there at the fire echo the same complaint to the response to the fire from their local fire department. 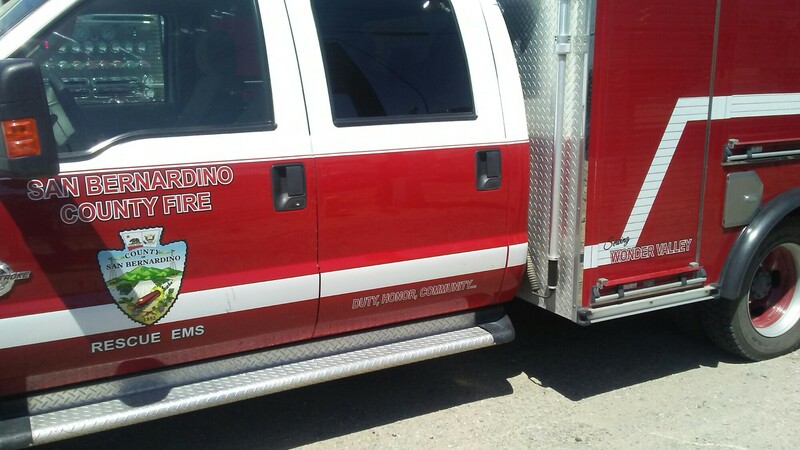 The San Bernardino County Fire Department is reportedly telling another news outlet that firefighters self-dispatched within 5 minutes to the fire, but ZachNews couldn’t independently confirmed the time of response from San Bernardino County Fire Department Officials for they never responded to our request for comment. The fire which could be seen from the television and fitness rooms of the fire station which was noted during the ribbon cutting ceremony for the new San Bernardino County Fire Station 32 on Monday, October 31st, 2016. 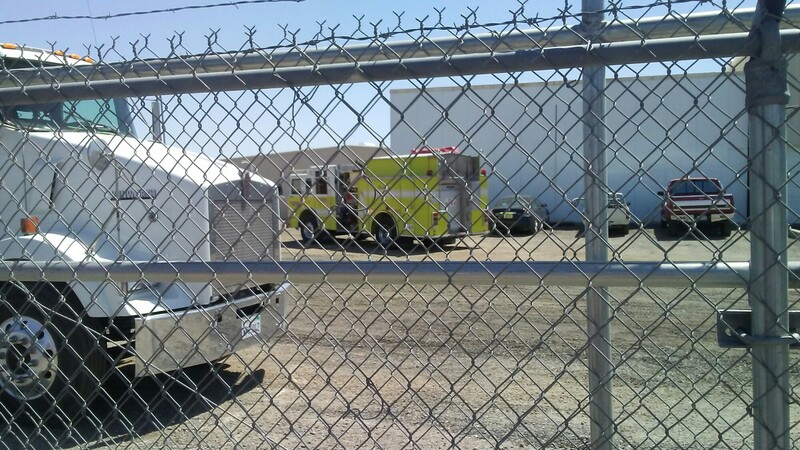 Witnesses there at the fire tell ZachNews that Mohave Valley Fire Department arrived first to the fire followed close behind by San Bernardino County Fire Department. So far from witnesses there at the fire, there were no problem with water or with the near by fire hydrants during the motel fire, but agree that all of the fire hydrants in the community need to be checked and any broken fire hydrants that are found not working, be fixed quickly before a fire happens and that fire hydrant is needed. 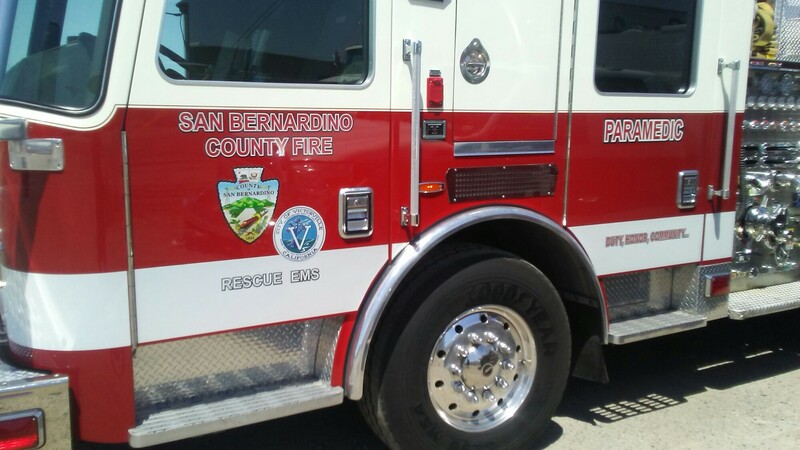 ZachNews couldn’t get a response from San Bernardino County Fire Department Officials regarding broken fire hydrants in the community, but the City of Needles tells ZachNews that the broken fire hydrants are slowly being fix or replaced. Concerns on the response time to this fire, broken fire hydrants, and if the local fire department has enough equipment and trucks to battle a large fire are being raised as new industrial sized buildings for medical marijuana cultivation continue to come in well old and abandoned buildings remain sitting used for years remain standing. 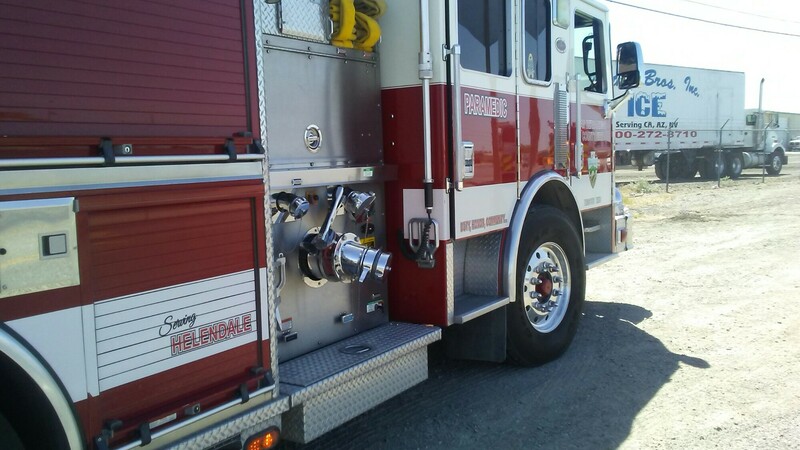 In wake of the latest fire to happen in Needles, California, some residents and businesses in the community say we need more fire department equipment and trucks including ladder trucks, replace old fire hydrants with new fire hydrants and keep them all maintained, and a local 911 dispatch center that can be familiar of the area so that callers won’t get sent to Barstow, California and Kingman, Arizona 911 centers for an emergency incident in Needles, California. Stay tuned to ZachNews for more news updates with more information regarding this breaking news story. Previous Breaking News!! : Needles, CA: Fire at the Americas Best Value Inn. Next Downtown Needles, CA: River’s Edge Community Christian Church’s Easter Sunrise Service at Santa Fe Park today.